This collection is classically modern. Odeon's design reflects the Art Deco style and its geometric origins. This collection is beautifully finished in Brushed Nickel and complimented with Satin White glass. This complete product grouping offers a fixture for nearly every application. 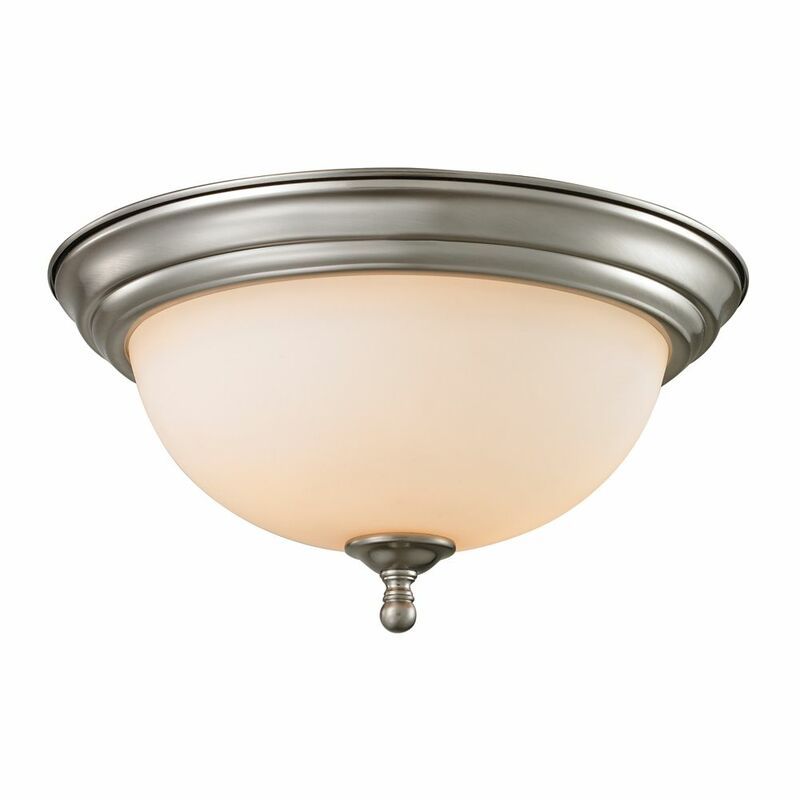 3 Light Flush Mount In Brushed Nickel Add a touch of class to any room with this handsome flush mount. Features a brushed nickel finish with white glass.